Online Tarot and Mediumship Readings from the comfort of your own home. Ordering an email reading with me is as simple as selecting a cream cake at the grocery store Bakery. All you have to do is click the, ‘buy’ button below where you’ll be directed to PayPal, and pay for your reading as you would with any other purchase. Then, email me your question answeringwithsoul@gmail.com and within two working days, you’ll have 1000 words of clarity in your inbox. ​And if you have any questions about ordering, feel free to reach out to me personally also at answeringwithsoul@gmail.com. In Preparation on any reading, whether an Oracle Card Reading, Tarot, or an Intuitive/Medium Reading, it is always best to prepare yourself. Take a few moments to ground your body with three deep breaths. Breathe in deeply and release all your expectations of the reading, take a second deep breath and release all of the day prior to this reading and lastly, take a third deep breath and release all that you will be doing after the reading. Focus only on the moment and when ready ask for your "team" to surround you while you call in your highest guidance. Ask your questions, get your answers! This is the reading of choice for most of my clients. 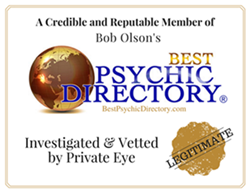 This is as close to a one on one reading as one can get with an online/email reading and will offer extraordinary results! In this type of reading I will connect with those on the other side using mediumship to speak directly to your guides, family, friends, angels, those in your highest and best good to answer questions as well as provide insights to any situation you are now facing. I always have my tarot deck to intuitively combine all to get the most accurate and precisely perfect reading. This can be done by phone 413-499-2419 (Bonnie will schedule an appointment), or online face to face using Zoom or at my office. This is a One Hour reading. My favorite spread. I use this spread for almost any and all questions for one on one readings. It is definitely my go to spread. ​This 6 card spread is very insightful as we delve into you conscious, subconscious, and unconscious mind as well as the physical, past, present, future. I will connect to my guides and open myself to Spirit and the Tarot to provide you with an in depth look and plan for the next and right path. This will typically be e-mailed within 24-36 hours. ​A picture of the cards/spread will be e-mailed along with the reading for your own further exploration. Email questions to answeringwithsoul@gmail.com after your purchase. This is the most common spread used for telling a story using Tarot Cards. This is a wonderful spread for all types of inquiries bringing the past, future, people, hopes and dreams as well as potential outcome into the light. This is a detailed 10 card Tarot Reading which will provide much insight into the question (s) you are most eager to know. The go to of Tarot spreads. Using my Guides as well as opening up to Spirit and Tarot I will be able to bring forth much information to you. ​A picture of the cards/spread will be e-mailed within 5 days, along with the reading for your own further exploration. A follow up question for clarity may be asked after the reading and within 5 days. This Simple 3 Card Reading is designed to assist you in any issue that is currently on your mind. It offers insight from 3- 6 mos in the past to 3-6 months into the future. Gift Certificates purchased online will be lovingly mailed within 48 hours to either the purchaser of person of purchasers choice. Once purchased, email answeringwithsoul@gmail.com with instructions on where to send. Jennifer Belanger 3 Charms Energy Touch Intuition answeringwithsoul@gmail.com Online Intuitive Tarot Card Reader 413-499-2419 Psychic Medium 969 Dalton Ave Massage Therapist Pittsfield, MA Chakra Practitioner Reiki Master 3 Charms Energy Touch Intuition Life Coach 413-841-3021 Holistic Healing Therapies 25 Main Street 2nd Floor Tarot Shop Chatham, NY Spot on! Intuitive Tarot Readings Online or in Office.